1. Twitter’s origins lie in a “day long brainstorming session” that was held by board members of the podcasting company Odeo. While sitting in a park on a children’s slide and eating Mexican food, Dorsey introduced the idea of an individual using an SMS service to communicate with a small group. 2. 3 years, 2 months and 1 day…the time it took from the first tweet to the billionth tweet. 3. 75% of Twitter traffic comes from third-party applications. 4. Tweets with image links have 5 times the engagement rate. 5. 63% of brands have multiple Twitter accounts. 6. YouTube is the most followed brand with over 40 million followers. 7. Average number of followers per twitter user is 208. 8. The tipping point for Twitter’s popularity was the 2007 South by Southwest (SXSW) festival. 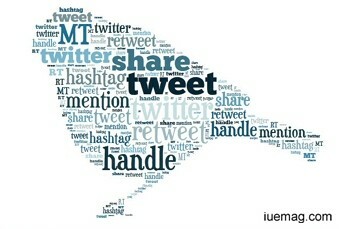 During the event, Twitter usage increased from 20,000 tweets per day to 60,000. 9. Katy Perry is the queen of Twitter over 51 million followers surpassing Justin. 10. China is the country with the most users with over 35 million. Any facts, figures or references stated here are made by the author & don't reflect the endorsement of iU at all times unless otherwise drafted by official staff at iU. This article was first published here on 26th February 2015.